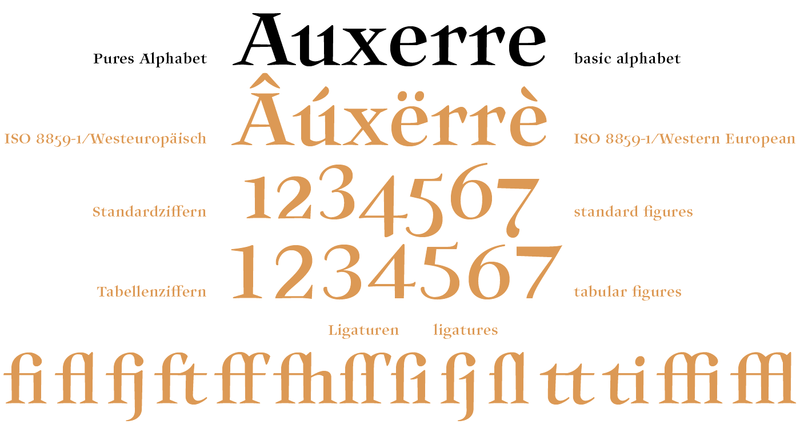 A font like this one could have been designed in 18th century France. 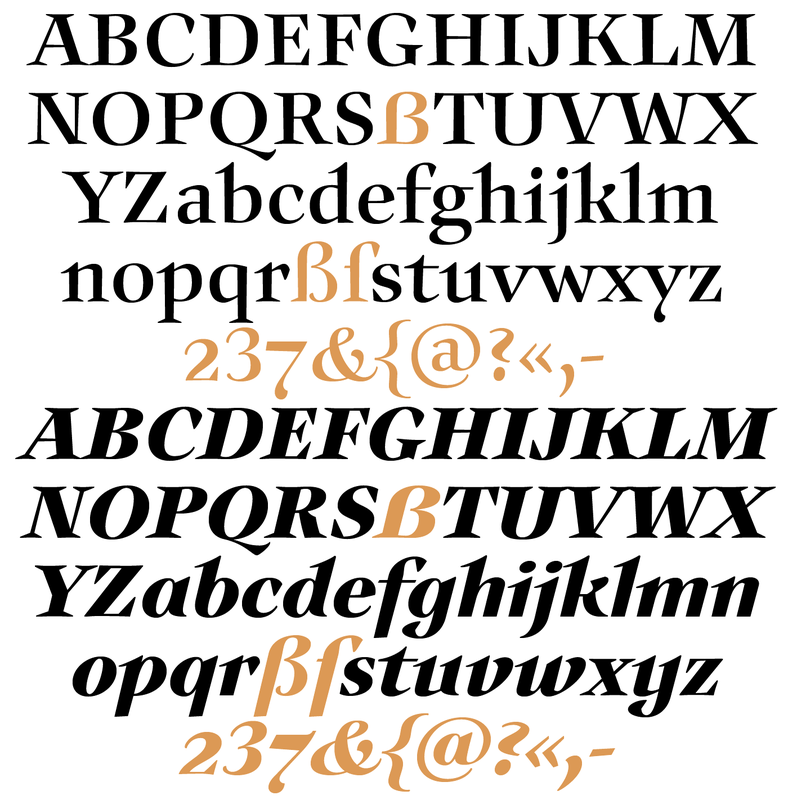 Type of Baroque style was already common then and dominated the appearance of printed matter. Anybody who was anybody searched for new forms of expression. Classicism had not yet announced itself. But the first signs of industrialization and the social changes resulting from it already whispered hints that some things could look different in the future. In my mind, I see a punchcutter, working diligently and eager to experiment; commissioned by an egotistic nobleman to design a new script for his printed materials. The punchcutter doesn’t dare touch the basic form or proportions of the characters. However, technique makes it possible to emphasize the contrast between baselines and thin strokes even more. 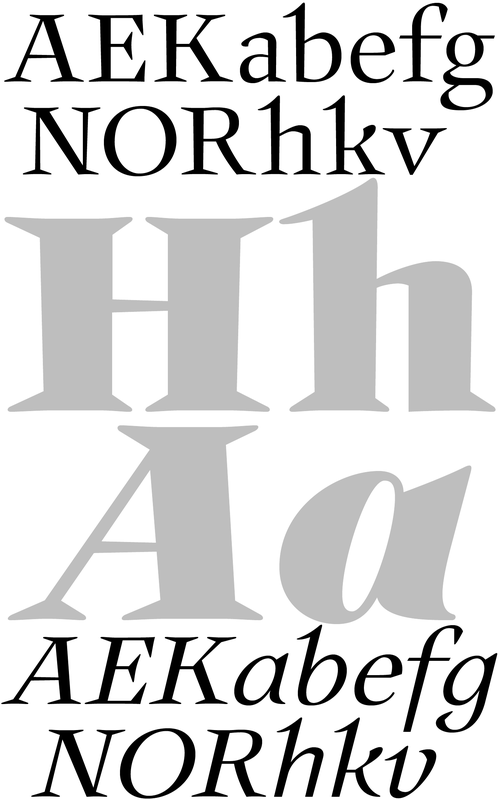 He throws out the traditional serif form, and designs the serifs pointed and triangular. Even the transition in the stroke is no longer rounded but is angular. And he adds an unconventional ductus in the stroke with partly converging edges and occasional breaks in the round forms of the internal spaces. 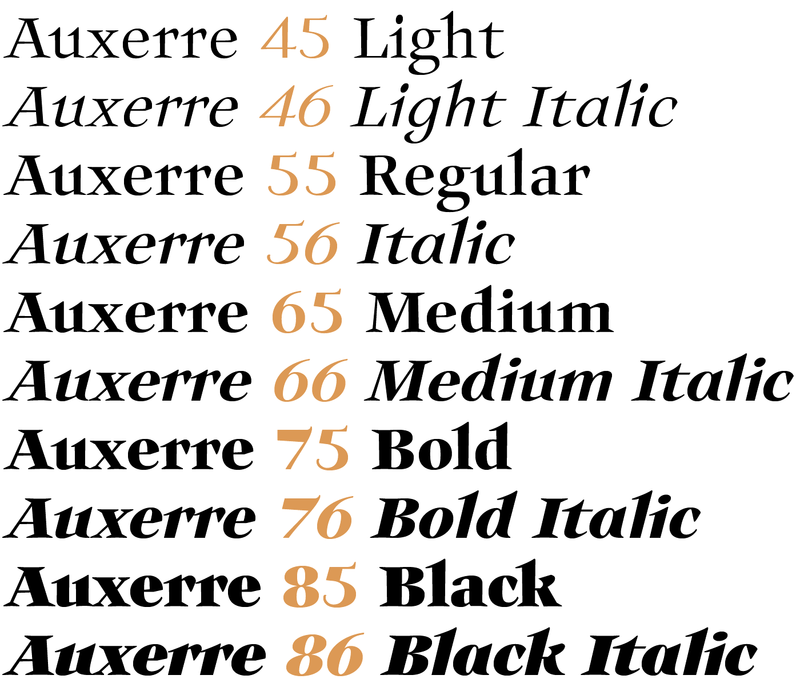 So to some extent, Auxerre is a precursor of “Etienne,” which later became popular as an advertising script of the 19th century. 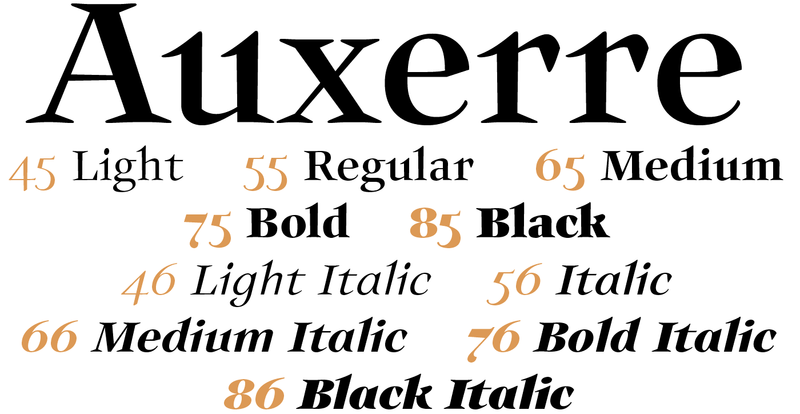 Auxerre is available in five font weights: light, regular, semibold, bold and black. 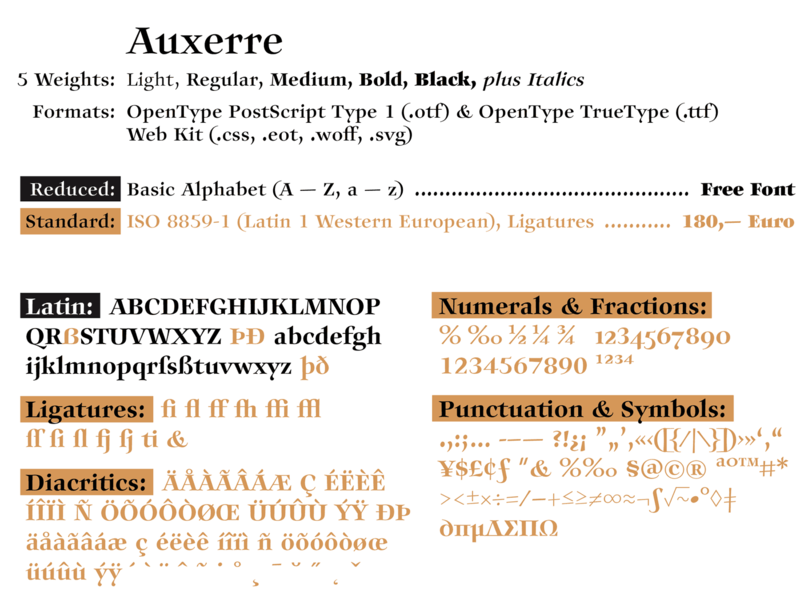 Auxerre supports Western and Central European languages including Scandinavian languages.